Anatole France (pronounced: [anatɔl fʁɑ̃s]; born François-Anatole Thibault, [frɑ̃swa anatɔl tibo]; 16 April 1844 – 12 October 1924) was a French poet, journalist, and novelist. He was born in Paris, and died in Saint-Cyr-sur-Loire. He was a successful novelist, with several best-sellers. Ironic and skeptical, he was considered in his day the ideal French man of letters. He was a member of the Académie française, and won the Nobel Prize for Literature in recognition of his literary achievements. 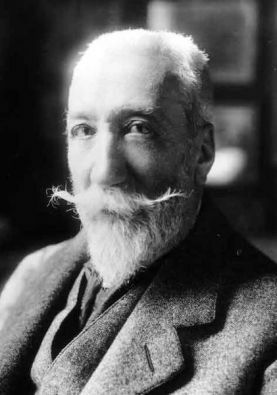 Anatole France began his career as a poet and a journalist. In 1869, Le Parnasse Contemporain published one of his poems, La Part de Madeleine. In 1875, he sat on the committee which was in charge of the third Parnasse Contemporain compilation. As a journalist, from 1867, he wrote many articles and notices. He became famous with the novel Le Crime de Sylvestre Bonnard (1881). 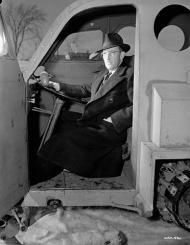 Its protagonist, skeptical old scholar Sylvester Bonnard, embodied France's own personality. The novel was praised for its elegant prose and won him a prize from the French Academy. In La Rotisserie de la Reine Pedauque (1893) Anatole France ridiculed belief in the occult; and in Les Opinions de Jerome Coignard (1893), France captured the atmosphere of the fin de siècle. France was elected to the Académie française in 1896. France took an important part in the Dreyfus Affair. He signed Emile Zola's manifesto supporting Alfred Dreyfus, a Jewish army officer who had been falsely convicted of espionage. France wrote about the affair in his 1901 novel Monsieur Bergeret. France's later works include L'Île des Pingouins (1908) which satirizes human nature by depicting the transformation of penguins into humans – after the animals have been baptized in error by the nearsighted Abbot Mael. Les dieux ont soif (1912) is a novel, set in Paris during the French Revolution, about a true-believing follower of Robespierre and his contribution to the bloody events of the Reign of Terror of 1793-94. It is a wake-up call against political and ideological fanaticism and explores various other philosophical approaches to the events of the time. La Revolte des Anges (1914) is often considered France's most profound novel. It tells the story of Arcade, the guardian angel of Maurice d'Esparvieu. Arcade falls in love, joins the revolutionary movement of angels, and towards the end realizes that the overthrow of God is meaningless unless "in ourselves and in ourselves alone we attack and destroy Ialdabaoth." On 31 May 1922, France's entire works were put on the Index Librorum Prohibitorum (Prohibited Books Index) of the Roman Catholic Church. He regarded this as a "distinction". This Index was abolished in 1966. In 1877, Anatole France married Valérie Guérin de Sauville, a granddaughter of the miniaturist of Louis XVI, with whom he had a daughter, Suzanne, in 1881 (dec. 1918). France's relations with women were always turbulent and in 1888 he began a relationship - that would last until her death in 1910 - with Madame Arman de Caillavet who conducted a celebrated literary salon of the Third Republic. After his divorce in 1893, he had many liaisons, notably with Mme. Gagey, who committed suicide in 1911. France married again in 1920, Emma Laprévotte. After his death in 1924 France was the object of attacks - " a particularly venomous one was written by Pierre Drieu la Rochelle, afterwards to become a collaborator of the Nazis" and detractors decided he was a vulgar and derivative writer. An admirer, the English writer George Orwell, defended him however and declared that he remained very readable, and that "it is unquestionable that he was attacked partly from political motives. The clericals and reactionaries hated him in just the same way as they hated Zola. [France] had lost no opportunity of poking fun at the Church. He was everything that the clericals and revanchists, the people who afterwards sucked the blacking off Hitler's boots, most detested." - Les Légions de Varus, poem published in 1867 in the Gazette rimée.